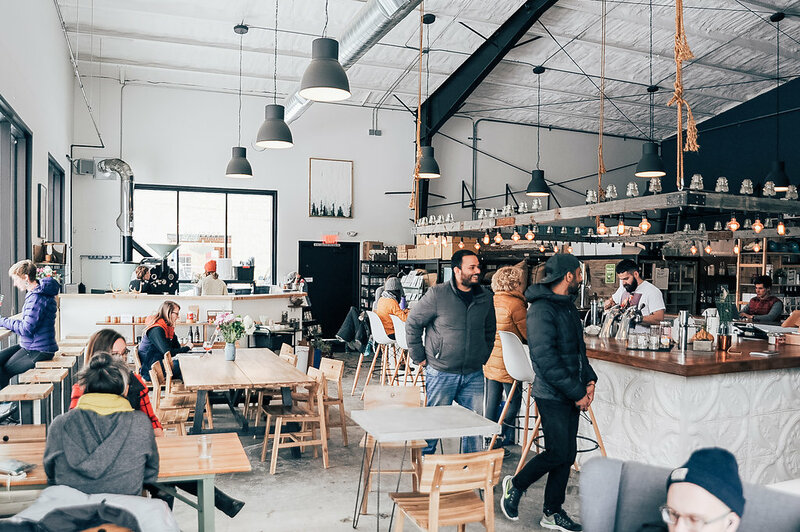 1) what made you want to open a cafe? 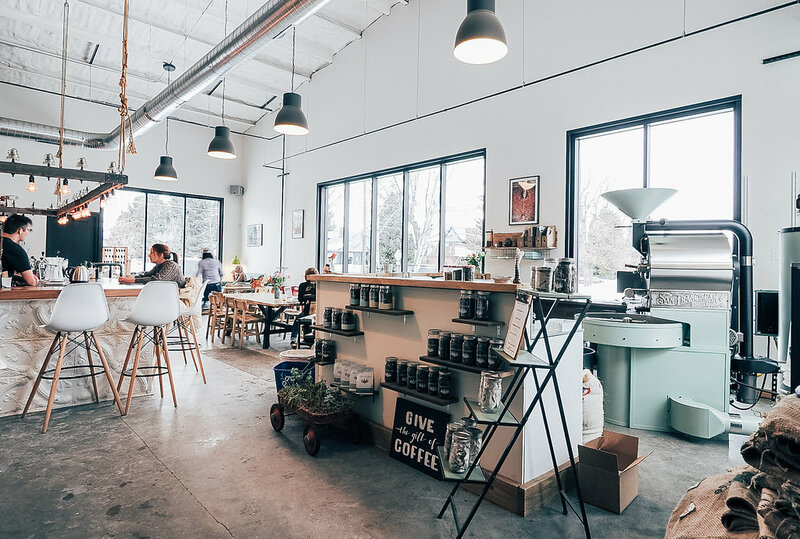 We started out as a wholesale roaster but really wanted to be able to connect directly with our customers through an experiential cafe. We desired to share the unique story of each coffee rather than simply roasting or brewing. To execute on this vision, we decided to design it more like a brewery rather than a coffee shop. We put our roaster front and center so that customers could see the roasting process in action and ask questions. 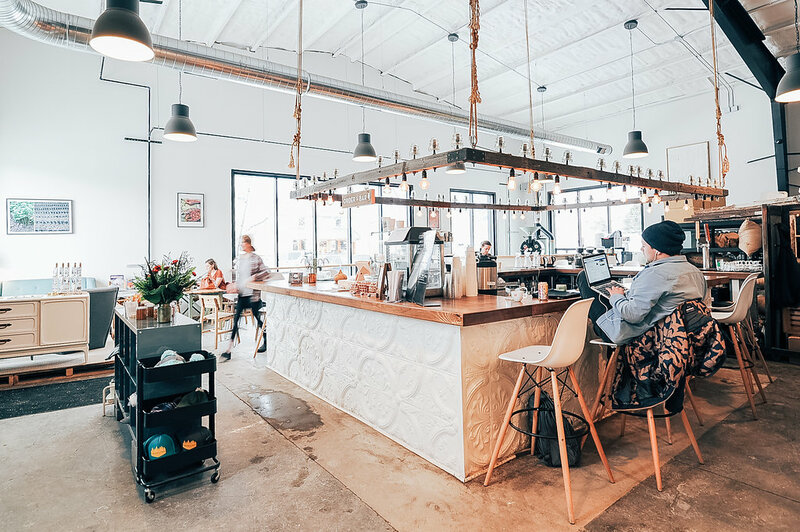 The coffee bar is placed in the center of the room (an old spacious warehouse) and baristas are encouraged to engage with our customers more like a bartender. 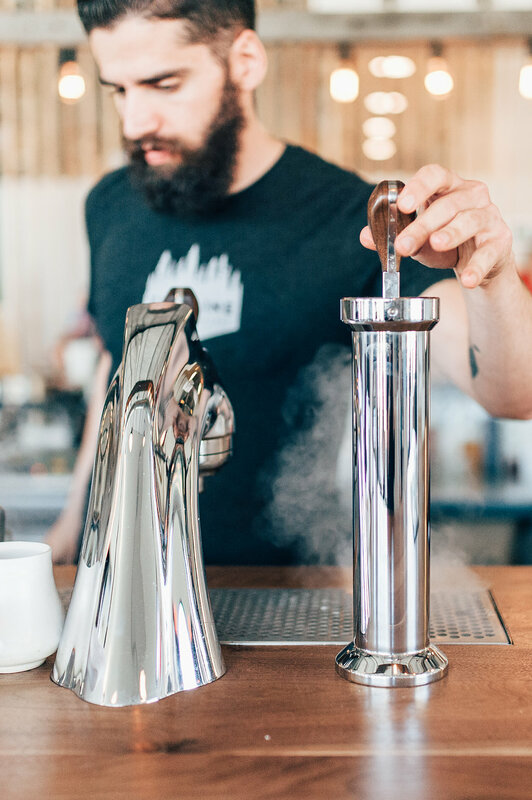 …baristas are encouraged to engage with our customers more like a bartender. 2) how would you describe the brand of your cafe? Our cafe is experiential and welcoming. 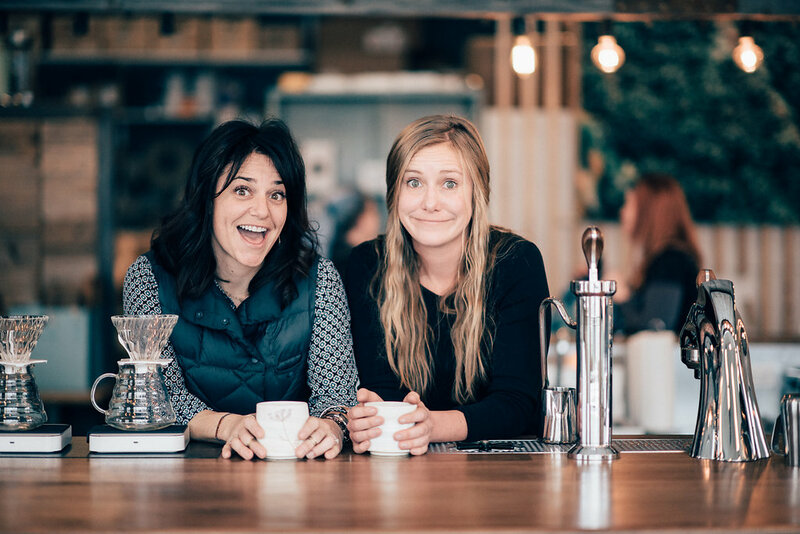 We have bar stools all around the baristas to make it easier to engage, learn and hang out with our crew. We offer coffee tasting flights to encourage people to taste the difference in a variety of coffees. The space is airy and light while at the same time warm and inviting, with huge windows facing the Bridger Mountains and a friendly staff. We offer coffee tasting flights to encourage people to taste the difference in a variety of coffees. 3) describe the location and demographics of the area where you opened. why did you choose this area? We decided that we wanted to be a neighborhood cafe. Real estate is tough to come by in Bozeman, and it took us almost 3 years to secure our final location. 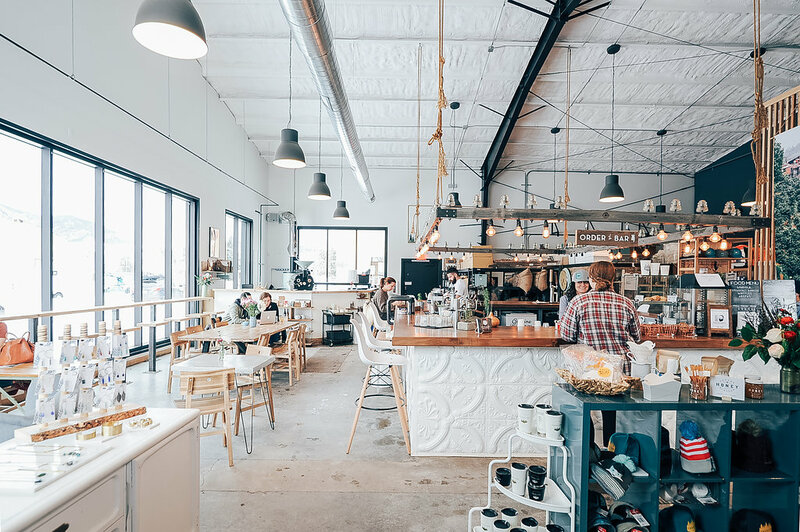 Leading up to that point we started in a food truck, then moved our roaster into a garage behind a Main Street cafe and when we outgrew that, we found ourselves in a warehouse. Finally, in 2106, we were really lucky to be able to find an amazing building on the northeast side of town. It’s a short 6 blocks from Main street in an old industrial neighborhood by the railroad tracks. We are surrounded by other manufacturers, small businesses, breweries and distributors as well as historic and newly renovated homes. It’s an artsy and eclectic neighborhood and we LOVE it! Real estate is tough to come by in Bozeman, and it took us almost 3 years to secure our final location. 4) what equipment are you using to make coffee? why did you choose this equipment? For Espresso: Our espresso machines are Modbar. This was the first big equipment choice we made after our San Franciscan Roaster. We chose this machine, not only for its great brewing capabilities but for its user interface. We wanted our team to be able to engage and interact with our customers in a meaningful way. The slim design of the Modbar makes this so easy. Not only are they great conversation starters (they look so unique! ), but they also remove the visual barrier between barista and coffee drinker and allow for lots of interaction. For Drip & Pour-Overs: We opted for a Curtis brewer for drip but we sell A LOT of pour overs. We designed a pour-over bar with 3 stations, each with a Baratza Forte grinder, a V-60 Dripper and Fellow Stagg Double Wall Decanter. We offer tasting flights as well, consisting of 3 – 4oz pours. Additional breakdown of the logistics behind the pour-over tasting flight: We have 3 grinders and 3 V-60 stations. We make mini pour overs of each coffee still using about a 1:16-18 ratio depending on the coffee. We serve them in a flight with a form that includes the names of each coffee and a spot for them to write their thoughts. The print out also includes things like the tasting wheel, typical coffee characteristics from each region and how to taste for things like acidity and body etc. The slim design of the Modbar makes this so easy. Not only are they great conversation starters (they look so unique! ), but they also remove the visual barrier between barista and coffee drinker and allow for lots of interaction. 5) describe your bar or customer flow. break this down for us. how did the equipment influence the flow? or vice versa? Our bar is a rectangle in the center of our cafe. It’s surrounded by bar stools on 3 sides and an area to place your order on the 4th side (west wall). Our batch brewer is in the back of the house and the thermos of drip sits right next to the register for quick service. Immediately to the right of the register (on the north side) are 2 espresso mods, 1 steam mod and a hot water tap. Then on a lowered platform, we have 2 K30 twin grinders. One holding “Blackbeard” our house espresso blend and a Single Origin Espresso and the other with our Decaf and Blackbeard. The lowered elevation of this equipment allows for ergonomic tamping and an easy way to hide some of the mess. Then, there’s a second espresso station with 1 espresso mod and 1 steam mod. To the right of this on the corner of the bar is a 3 station pour over bar. The V-60 Dripper and Fellow Stagg Double Wall Decanters on the north side and the Barataza Forte grinders on the east. This corner setup allows for easy brewing of three coffees at one time. Then, on the east side, we have our nitro ice brew and kombucha taps. On the south side of the bar, we dropped the counter for food prep, panini’s etc. 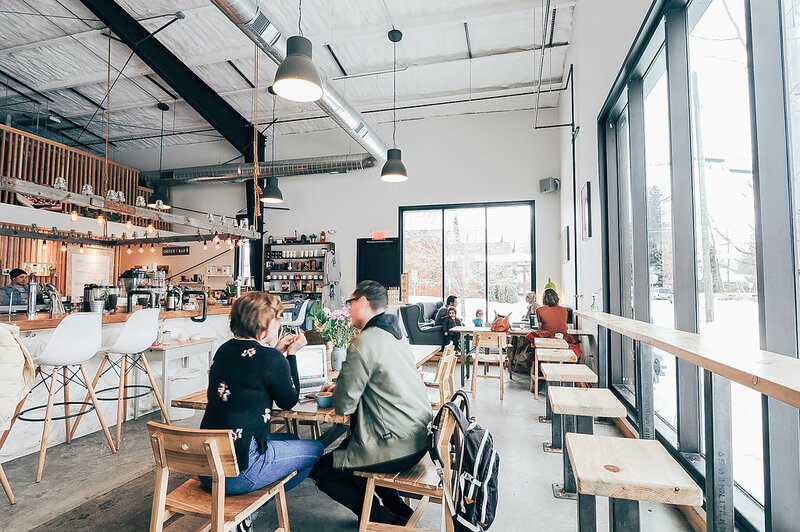 Customers can sit at any station and chat up their barista, hang with a friend or work on their laptop. 6) what’s one thing that makes your cafe special? The people. We can have all the coolest gear in the world but at the end of the day, coffee is about relationships all across the supply chain down to the last tasty drop. 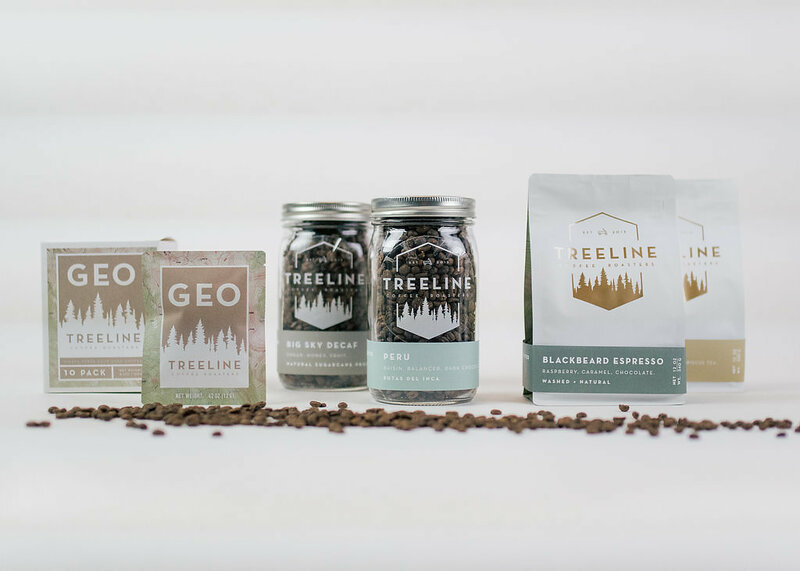 Interested in connecting with the Treeline Team to dig a little deeper?